Speed is the name of the game when it comes to any arcade racer, and Mario Kart 8 Deluxe is no exception. Players new to the title as well as those making the switch over from Nintendo's Wii U will find that a few character stats have been altered for the Switch version of the game, but when it comes to winning 200cc matches in Mario Kart 8 Deluxe online, ignorance of stats is no excuse. Fortunately, we've rounded up and ranked all of the classic Nintendo characters based on their overall acceleration and top speed. All of the basic stats for every racer to be found in Mario Kart 8 Deluxe come down to a handful of different categories: speed, acceleration, weight, handling, traction, and mini-turbo. 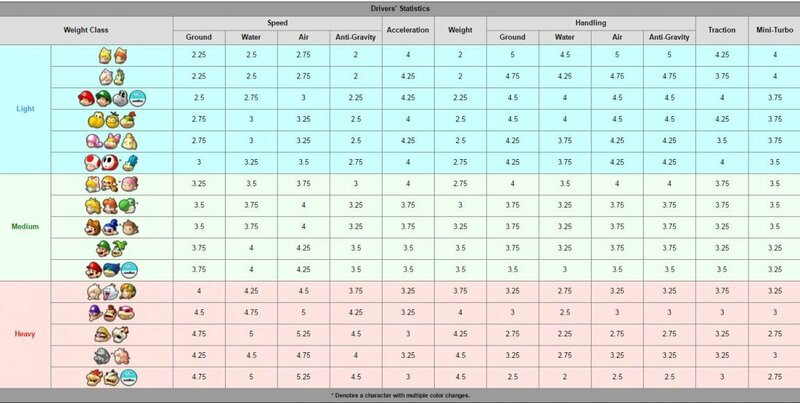 Each character has its own unique combination of statistics for each of these individual fields, but the most important ones players need to know in order to win races are acceleration and top speed. Thanks to a handy list provided by the folk over at the Super Mario Wiki, players have a simple and functional way of looking at overall statistics. After that, we're only a short ways away from seeing which characters rank most highly. • SS Tier characters are those with the highest top speed and the best balance of acceleration and handling. Most of the top-tier racers are Heavyweights, and those that rank most highly are those with slightly-raised Acceleration stats. SS Tier characters primarily include Wario and Dry Bowser, as well as Waluigi, Donkey Kong, and Roy in the 200cc class. • S Tier characters have high top speeds but fall slightly behind when it comes to acceleration and handling. S Tier characters include Bowser, Donkey Kong, Heavy Mii, Morton, Roy, and Waluigi, though players will see diminishing returns using Donkey Kong, Roy, and Waluigi outside of 200cc races. • A Tier characters are those that don't feature the high top-end speed of Heavy characters but still have enough speed, acceleration, and handling to make them strong contenders. This tier includes characters like Metal Mario and Pink Gold Peach, as well as Rosalina, King Boo, and Link. • B Tier characters are where characters start falling behind the 4-point ranking for overall speed. Though they're still good contenders in general, they don't quite have the oomph players need to compete with the strongest racers in the game. B Tier characters include Iggy, Ludwig, Luigi, Mario, and Medium Wii. • C Tier characters and beyond are still fun for playing, and most feel very light and user-friendly thanks to low weight and high handling statistics. With that said, they just aren't powerful enough to be smart choices in 200cc online races. C Tier and beyond characters make up the rest of the Mario Kart 8 Deluxe roster, including Tanooki Mario, Inkling Boy, Peach, Yoshi, and Daisy, followed by all the rest. 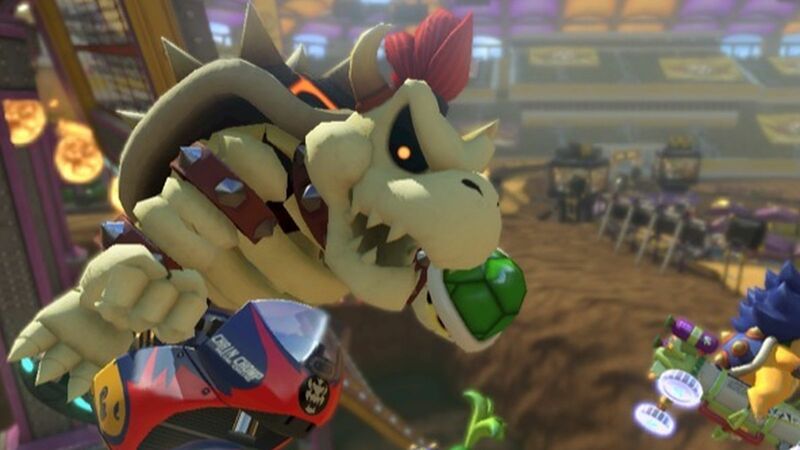 Outside of our Mario Kart 8 Deluxe speed and acceleration tier list, we also have excellent guides on the best kart, character, and class combinations as well as handy information on what smart steering is and how to disable it.